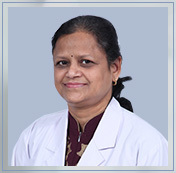 Dr. Arti Singh is working as a Gynaecologist & Obstetrician at Regency Hospital since 1993. Recipient of many Gold Medals during MBBS & MS Course. Actively Involved in Organizing CME & Workshops in field of Obstetrics Critical Care.